Ping’s Den is our Nurture Room. It started running in September 2016 where a variety of different groups access it throughout the day and the year, from all across the school. The morning groups are mainly from Key Stage 1 and the afternoon groups are mostly Key Stage 2.
through small group games, talking opportunities, cooking and gardening, relaxation and confidence building exercises. At lunchtimes, any children can join in with games and activities in the area outside Ping’s Den on the main playground. We aim to help the children to get better at sharing, playing well together and gaining confidence generally. Some children who just need a quiet space or a chance to chat, come into Ping’s Den during the second half of lunchtime. We invite parents to come and join in with various activities and if your child accesses Ping’s Den and you would like to chat, our Wednesday Drop-in runs from 3 to 3.30pm. 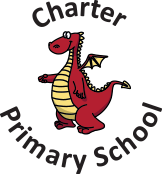 On specific Thursdays during the school year Ping’s Den is open for any Charter parents to come and have a drink and a biscuit. We run various different activities each term and our Parent Support Advisor is also in school on a Thursday afternoon if you wish to speak to her.